Yesterday, the U.S. Equal Employment Opportunity Commission announced (here) that its General Counsel, David Lopez, would be leaving the agency in December. 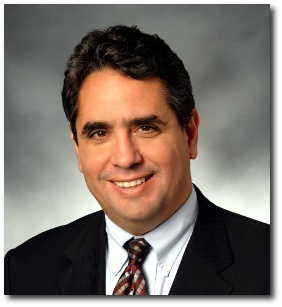 David was the first EEOC field trial attorney to be appointed as the agency’s general counsel, the first Latino general counsel, and, after 6 1/2 years, is the longest-serving general counsel in the history of the agency. The EEOC press release highlights how David transformed the agency into “one national law enforcement agency,” by promoting collaboration and teamwork within the EEOC. David scored the EEOC’s largest jury verdict ever. David spearheaded the EEOC’s June 2015 victory in EEOC v. Abercrombie & Fitch Stores, Inc., holding that an employer may not refuse to hire an applicant if the employer was motivated by avoiding the need to accommodate a religious practice. David served as Co-Chair of the committee that developed the Commission’s Strategic Enforcement Plan for 2013 to 2016. Yes, I know the answer to that question. According to this article from Rebekah Mintzer at Corporate Counsel, David decided to step down to spend more time with his family, an idea that he said “sounds cliché, but for me is absolutely true.” He also foreshadowed “some decompression time hopefully on a beach in Mexico somewhere,” before announcing his future plans. Congratulations to David Lopez on a wonderful EEOC career and all that the future holds for him, his family, and those to whom he provides counsel.